– Quotes from former Russian anti-doping lab director Grigory Rodchenkov, who claims he was part of an elaborate scheme where he and the Russian internal intelligence service (F.S.B.) swapped out hundreds of dirty urine samples at the 2014 Sochi Winter Olympics. NRR: Bruce Jenner may transition BACK to being a man! Would you date a pregnant woman? maxing out at 30-35 pushups... real pushups. whats the deal?? LRC Federal Judge Dismisses Nick Symmonds’ Run Gum Lawsuit; USATF And USOC Can Restrict Non-Apparel Logos At Olympic Trials USATF and the USOC won at least the temporary legal battle but have they won the war? Will athletes stand for being told USATF has the legal authority to prevent them from monetizing a logo that USATF does not even attempt to monetize itself? 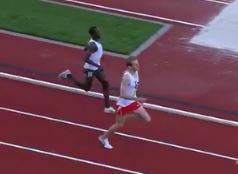 LRC Preview Nick Symmonds Races An 800 For First Time In 10 Months And Faces David Rudisha; American Jenny Simpson Faces Faith Kipyegon & Dawit Seyaum In Tough 1,500; Yomif Kejelcha Headlines Ethiopian-Heavy 5,000 Tell the kids their Saturday morning cartoons will have to wait as the Saturday morning action is bound to entertain. Other headliners include Hyvin Kiyeng (steeple), Justin Gatlin (100), Joe Kovacs (SP), Tianna Bartoletta (LJ), Renaud Lavillenise (PV) and Omar McLeod (110H). MB: NRR: Bruce Jenner may transition BACK to being a man! MB: Bruce Jenner is Back Baby! RIP: Former Trinidad And Tobago Sprinter Mike Agostini Passes Away At 81 After Battle With Cancer Agostini had the bad luck to miss out on two WRs during his career due to technical faults with 1950s timing methods/equipment. 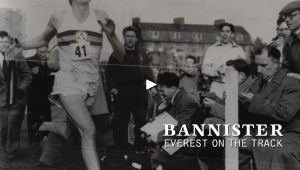 The Myth Of The Sub-2-Hour Marathon? Recommended Read: NY Times: Man Vs. Marathon Meet Yannis Pitsiladis, the scientist behind the Sub2 Project who is trying to raise $30 million and challenging the validity of every training principle out there to try and get a man to run a marathon in under 2 hours. He thinks it can be done by the end of 2019. 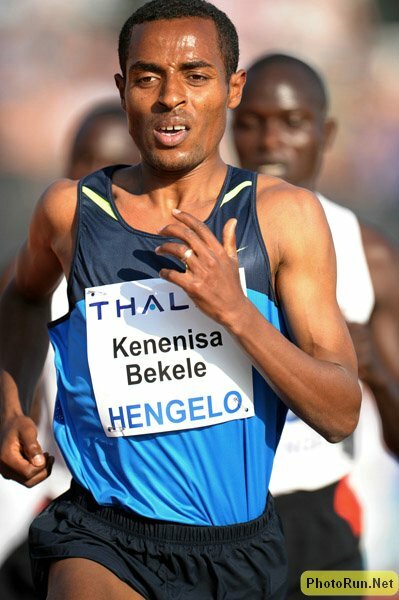 Part 2: An Unknown To Most Of The World, Yannis Pitsiladis Was A Huge Factor In Kenenisa Bekele’s Comeback At The 2016 London Marathon Pitsiladis worked with Bekele, giving him a rehab program and restricting his diet down to 1,000 to 1,500 calories a day to help him lose the excess 25 lbs. he had put on. 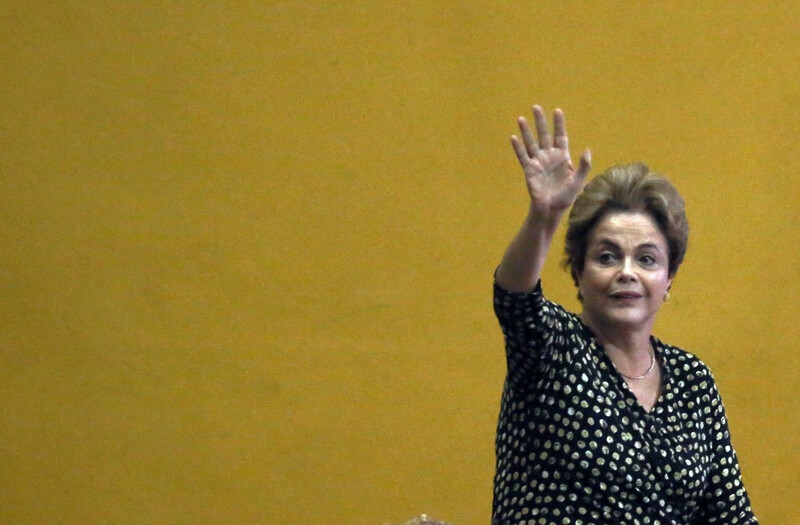 Olympic News: Another Major Scandal? Australian Olympic Team’s Medical Director Thinks The Zika Risk In Rio Is Minimal We’re against the media over-hyping the negatives, but this guy’s going a bit too far when he said the last people he’s spoken to didn’t even see a mosquito in Rio. Norway’s Two-Time Olympic Javelin Champion Andreas Thorkildsen Retires The 34-year-old won his first gold at the 2004 Athens Games. Cornell’s Rudy Winkler And Texas Tech’s Hannah Carson Are NCAA Athletes Of The Week Winkler had a huge weekend in the hammer with an all-time Ivy League record and national leader to win Heps while Carson became the first collegiate to break the 60m barrier in both the discus and javelin. NCAA Record Book Updates: The Year Of The Discus? Wisconsin’s Kelsey Card had an impressive weekend in the shot and leads Carson in the discus. Thursday USATF 1 Mile Road Championships: Garrett Heath And Heather Kampf Return To Defend Their Titles At The Medtronic TC 1 Mile Their primary challengers will be Ben Blankenship and Gabriele Grunewald. Q&A With Nicole Blood Ahead Of TC 1 Mile Most of Blood’s training is 5K based, but she’s added in some speed to get ready for a mile. Saturday: Omar McLeod Looking For First Sub-13 Of The Year In Shanghai McLeod is on a big winning streak this year, having racked up 10 wins in the 60, 100 and 110H. Saturday: Egyptian Javelin Thrower Ihab Abdelrahman Hopes China Continues To Be Good To Him Abdelrahman broke out at Shanghai two years ago with a huge PR and then won world silver in Beijing last year. 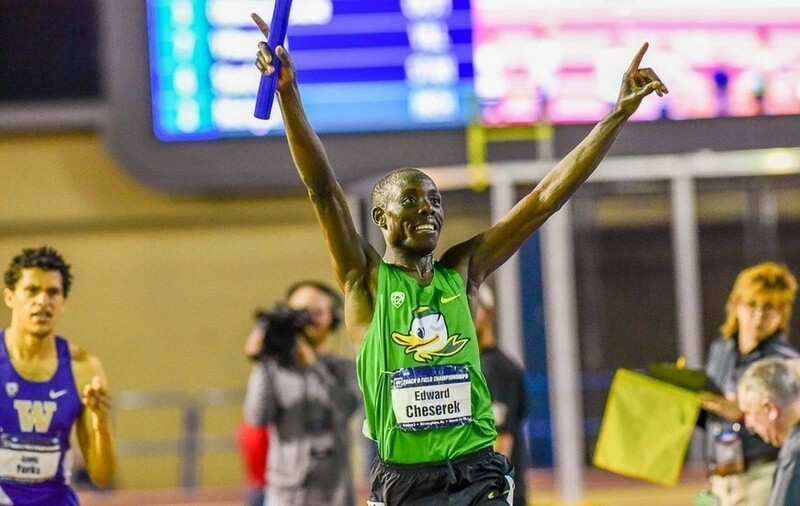 Amazing Field Set For Pre Classic Bowerman Mile: Asbel Kiprop Faces Matt Centrowitz, Taoufik Makhloufi, Ayanleh Souleiman And Drew Hunter Silas Kiplagat, Elijah Manang’oi, Abedelaati Iguider, Evan Jager and Ben Blankenship also in the field. 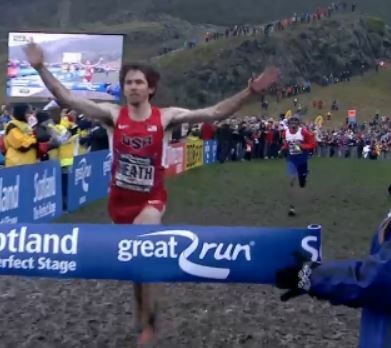 *MB: Pre Mile is SALTY! 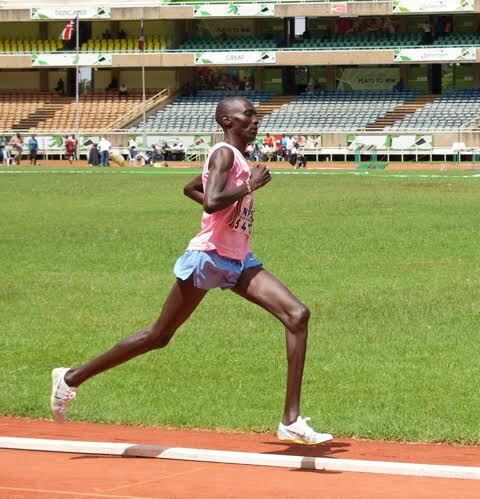 *MB: 5K: True vs Hill vs World Geoffrey Kamworor leads the way, challenged by Yomif Kejelcha, Bernard Lagat, Hagos Gebrhiwet, Caleb Ndiku, Edwin Soi, Isiah Koech. Saturday: Fast Sprints For Shanghai DL: SAFP Vs. VCB Over 200m Justin Gatlin vs. Tyson Gay in the 100. June 5th: Kirani James Will Lead 400 Field Against GB Local Star Matthew Hudson-Smith At Birmingham DL Meet Sub-44-second men Yousef Masrahi and Isaac Makwala are also in the race. Irvette van Zyl Wins SPAR 10K Road Race In South Africa van Zyl said she was in a “very bad place” after a disappointing performance in the London Marathon and getting the win here helped her bounce back. Masato Imai Wins Sendai Half Marathon In Japan With 63:06 Over Tomohiro Tanigawa (63:11) Yuki Kawauchi was 5th (64:35). 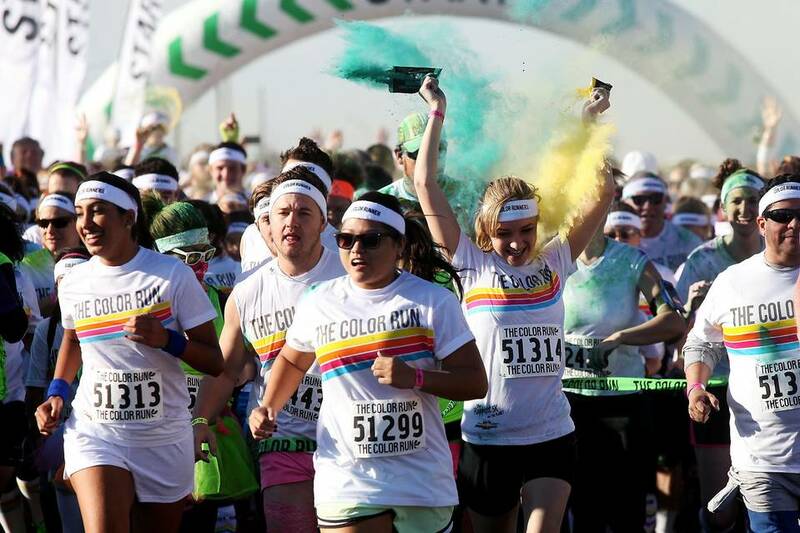 Interesting Read: WSJ: How Millennials Ended The Running Boom After two decades of growth, the number of race finishers dropped 9% in 2015. Fewer young people are running races and even fewer are running them competitively. We span the track and field globe and ponder if Edward Cheserek is now an underdog at NCAAs while discussing fashion choices and intersex athletes. Huge Russia Doping Conspiracy At Sochi 2014? 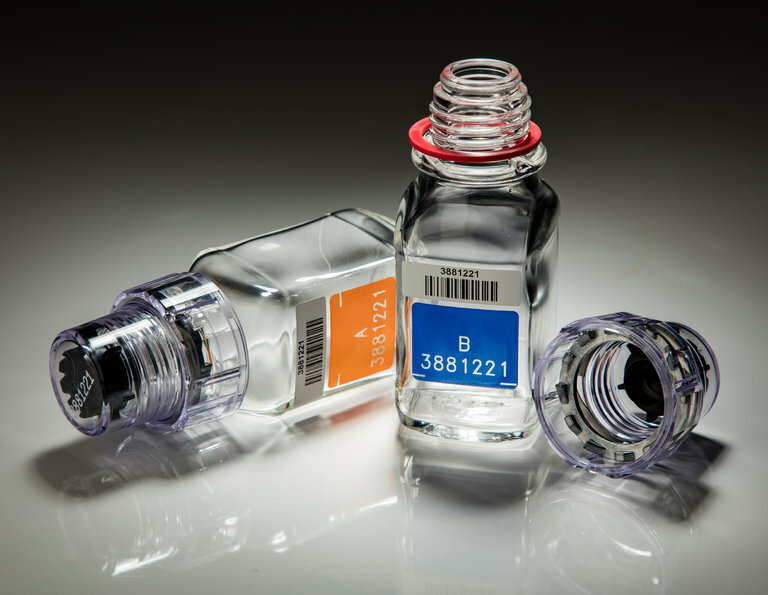 Recommended Read: NY Times: More Major Russian Doping Allegations As Former Moscow Lab Director (The One Who Didn’t Mysteriously Die After The WADA Report) Details How Sochi 2014 Dirty Urine Samples Were Switched Before Testing Fearing for his safety, Grigory Rodchenkov fled Russia for the US, and has opened up about the state-run doping cover-up he partook in where hundreds of dirty samples at Sochi were swapped for clean urine. From the involvement of the Russian intelligence agency to the hole in the lab wall used to pass bottles through, the sensational story is something out of an old spy movie. Craig Reedie Says WADA Will Act “Immediately” In Investigating Latest Russian Doping Allegations Reedie was annoyed that Rodchenkov didn’t come out with any of this when he was interviewed by WADA previously. UK TV Network Sky News Claims Russian Authorities Are Obstructing British Anti-Doping Officials From Testing Russian Athletes Russian officials are asking for 30 days notice for tests, disputing payments and delaying customs so samples can’t be transported outside Russia within the 48-hour window required. WSJ: Prescription Steroids Get A Quiet Exception With Amateur Athletes USADA says that masters athletes who use medically prescribed testosterone can compete, but are supposed to “prove to USADA that they are unlikely to actually win” the race. 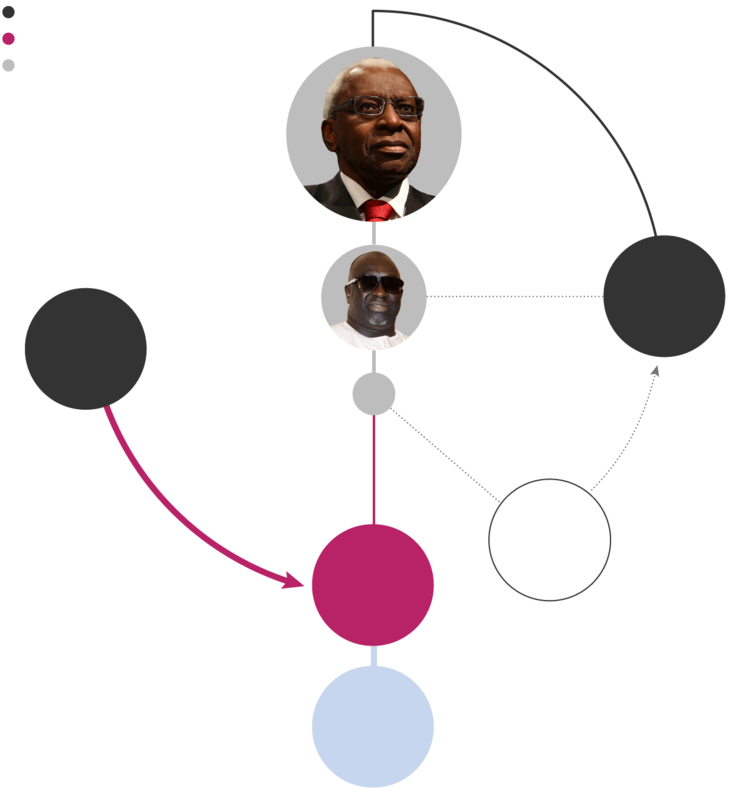 Thomas Bach Admits IOC Is Not “Immune” To Corruption Yeah, we’ve noticed. 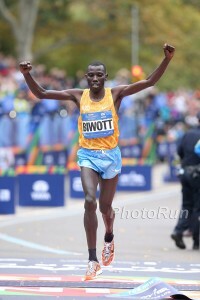 Good Read: After Going Toe-To-Toe With Eliud Kipchoge, Stanley Biwott Is Ready To Chase A Medal In Rio Biwott isn’t worried about the heat or the tactical race in Rio and says he wants to bring marathon gold back to Kenya in tribute to Sammy Wanjiru. Quick Q&A With Eliud Kipchoge Kipchoge is thankful he had a full track career before moving to the marathon and says he loves to run so will “jog” big city marathons even after he retires. Meseret Defar Looking For A Very Fast Time In The 10,000m Tomorrow At The adidas Boost Meet In Germany Defar wants to run the 10K in Rio as she doesn’t have an Olympic medal in that event. *Update: Defar has scratched with a minor injury. Controversial Sprinter Dutee Chand: “Some of the 4 x 400 relay members don’t like me as I had better timings than them.” Well, they probably don’t “like her” because she has hyperandrogenism and races with an unfair advantage. May 28: Kirani James Vs. LaShawn Merritt Matchup Set For Pre Classic 400 At Drake James ran 44.08 to beat Merritt by .14-seconds. Sub-44 man Isaac Makwala also in the field. Former Super Bowl Champion Willie Gault Named USATF Athlete Of The Week After Setting M55 WRs In The 200 And 200 Gault, a 110H world bronze medalist in 1983, ran 11.30 and 23.24 to set the age-group records. Shelly-Ann Fraser-Pryce Pulls Out Of Shanghai DL Meet With Toe Injury This after she pulled out of last week’s Jamaica Invitational. 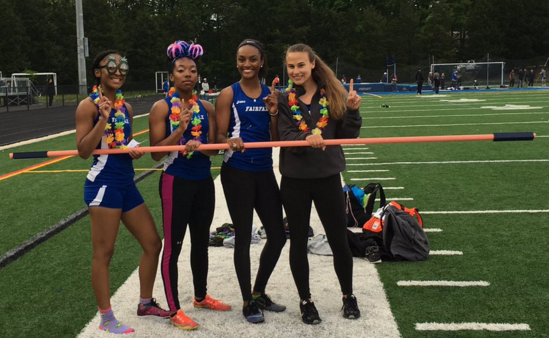 Learn how (and why) Fairfax (Va.) HS won a 4 x 100 using a high jump bar for a baton. 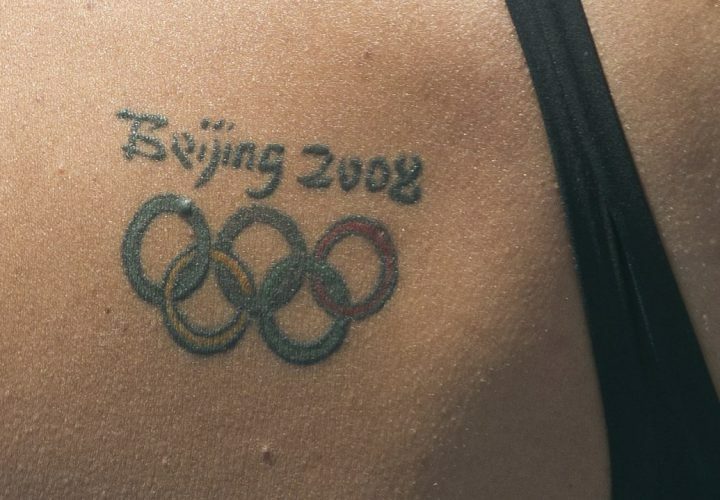 Common Sense Wins The Day: IOC Says They’re Okay With Athletes Having Olympic Ring Tattoos This after a paralympic swimmer was DQed last week for not covering his up at the Euro Swimming Champs. Rio 2016 Downplays Concerns Over Mosquito Infestation In Warm-Up Pool There were apparently a “ton of mosquitoes” at the outdoor pool at last month’s test event, but organizers have fumigated the area. 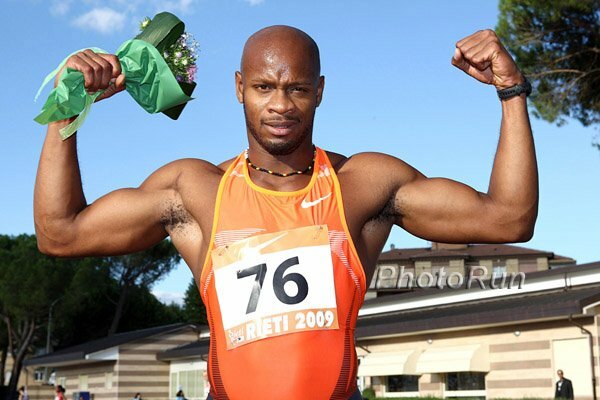 Asafa Powell Wants To Contest The 200 As Well As The 100 At The Olympics The former 100m WR holder hadn’t even run a 200 since 2011 and hasn’t done it at a championship since 2004. Event-By-Event Top Collegiate Marks From The Weekend BYU’s Aaron Fletcher ran 8:39 in the Oxy steeplechase to finish 2nd behind pro Ole Hesselbjerg (8:36). New Hampshire’s Laura Rose Donegan won the American East steeple in 9:49. *Tianna Bartoletta Gets 100-LJ Double Win; Shawn Barber Takes PV Erik Sowinski won the 800 in 1:45.92 while Ben Blankenship (7:52.80) was 2nd in the 3K. 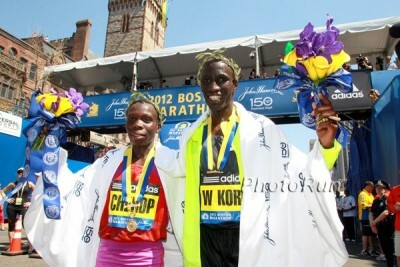 Caroline Chepkurui took the steeple in 9:31. Keep Chasing Your Dreams: At Just Shy Of 41, Marathoner Scott Westcott Will Become Australia’s Oldest Track Olympian When He Competes In Rio This will be Westcott’s first Olympics as he missed being selected at the three previous Games despite running qualifying times. 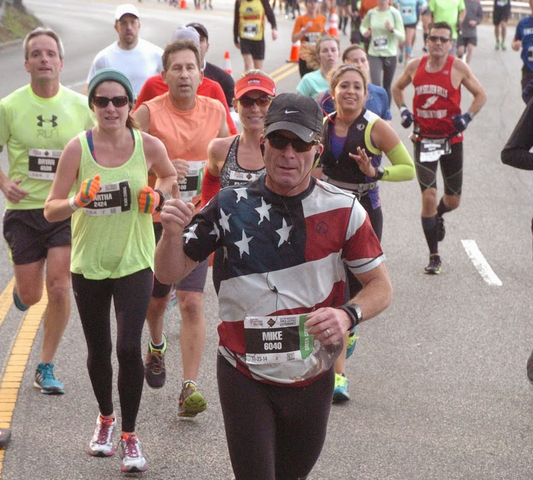 Saturday: Jared Ward Up Against Nick Arciniaga And Fernando Cabada At USATF 25K Championships Women are led by 2:29 marathoner Clara Santucci, former US marathon champ Esther Atkins and 2:32 woman Lindsey Scherf. No More Elite Foreign Runners At Freihofer’s Run For Women Race director George Regan said they want to give more support to Americans so won’t recruit or pay to fly in top Africans any more. Q&A With Washington’s 3:53 Miler Izaic Yorks Yorks says growing up he wasn’t good at sports and was “very big into Pokemon and loved the softa”. Profile On Molly Seidel In Notre Dame Magazine Seidel runs 80-95 miles a week, but says she’d run 110 if her coach didn’t hold her back. Mike Rossi, the North Korean version, x 2? 38 UK Road Races Being Investigated For Being Too Short These courses were measured with the same device that incorrectly did the Great Manchester Marathon. So far 4 of the 38 have been found to be short. Great North Run Approaching Landmark Achievement Of Having A Runner From Each Of The 193 United Nations Member Countries So far they’re at 150. MB: Video: T-Mobile CEO John Legere and Nick Symmonds decide what tattoo to put on his arm Last week, Legere won the auction for $21,800 to put a tattoo logo on Nick Symmonds’ shoulder. Good Read: In-Depth Interview With Phoebe Wright Talking About Her Early Life, College Career And Current Training Situtaion Wright talks her favorite workouts, best college memories and what she does for fun. 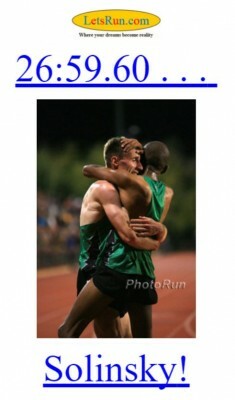 No Hard Feelings After Ahmed Muhumed Got Tripped By Michael Slagowski’s Pacer Muhumed missed a chance at a PR after colliding with Slagowski’s pacer as he dropped out, but wasn’t bitter about the accident. Daily Mail: “Caster Semenya On Track For Rio Gold, But She’s Running In An Ethical Minefield” With the IAAF gender hormone rules suspended, there will be more and more negative attention on Semenya as she continues to dominate in the buildup to Rio. 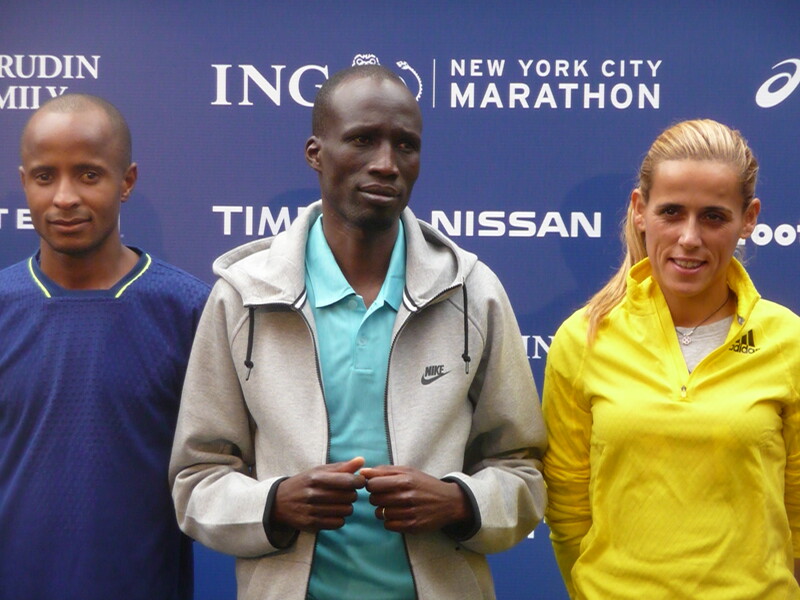 Good news, Galen Rupp and US women’s marathon fans – it just got a lot easier to medal in Rio as Athletics Kenya picked a 2:24 woman and a man who is about to celebrate the 2-year anniversary of his last sub-2:10 clocking (May 25th) to the Olympic team. 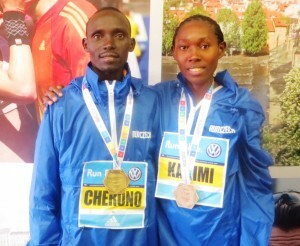 Stars like Edna Kiplagat and Mary Keitany will be sitting at home. 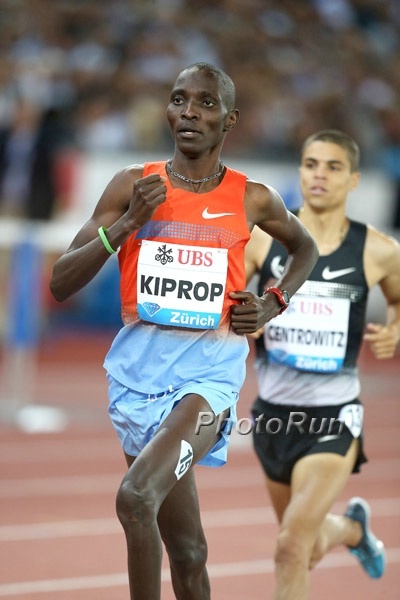 Updated with new stats for Dickson Chumba and Bernard Kipyego and the fact that Wilson Kipsang didn’t want to go to Rio. *Eliud Kipchoge In Search Of Elusive Olympic Gold In Rio Kipchoge has won Olympic silver and bronze, but never gold. After A Huge Breakthrough In 2016, Pittsburg State’s Garrett Appier Is An Olympic Hopeful In The Shot Put The DII athlete and son of a former World Series champion pitcher, Appier is ranked 9th in the world (3rd in the US) this year after moving his PR from 18.54m to 20.79m. IAAF “First Impressions Q&A With German World Champs Javelin 4th Placer Thomas Rohler Rohler’s first track competition was actually a mandatory “cross country” race held in a parking lot. Podcast Interview With New Zealand Shot Putter Tom Walsh We’re not sure the title of their show, “The Sauce,” is the best choice for interviewing T&F athletes. Euro Round-Up: Czech Republic’s Jakub Vadlejch Threw A WL’ing 86.76m In The Javelin At The Golden Grand Prix In sprints, Christophe Lemaitre won a low-key 100 in 10.14. British Stars CJ Ujah And Adelle Tracey Help Lay The First Sections Of New Track In London Olympic Stadium Brendan Foster was also there promoting the Great Newham London Run 10K, an open road race finishing on the London track. Russian Whistleblower Vitaly Stepanov Says He Has A List Of Athletes Who Had Their Steroid Use Covered Up At The Sochi Olympics The list includes 4 gold medalists and Stepanov says he has the taped conversations to prove it. 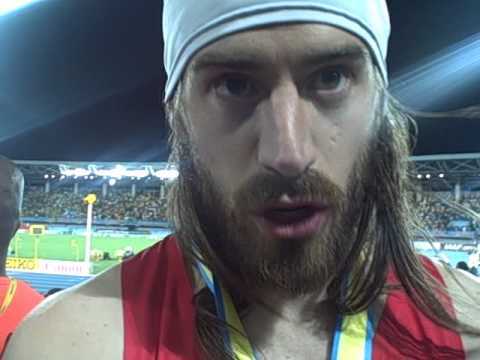 ESPN: Stepanov Sent WADA 200 Emails And 50 Letters Before Getting Them To Act Stepanov was in contact for WADA for 3 years before they steered him towards German TV network ARD.